YVE Hotel Miami is centrally located in Miami, a 4-minute walk from Bayside Marketplace and 6 minutes by foot from Bayfront Park. This hotel is 0.9 mi (1.5 km) from American Airlines Arena and 1 mi (1.6 km) from Brickell City Centre. Make yourself at home in one of the 243 air-conditioned rooms featuring iPod docking stations and flat-screen televisions. Complimentary wireless Internet access keeps you connected, and cable programming is available for your entertainment. Private bathrooms with bathtubs or showers feature complimentary toiletries and hair dryers. Conveniences include phones, as well as laptop-compatible safes and desks. Take advantage of recreation opportunities such as a 24-hour fitness center, or other amenities including complimentary wireless Internet access and concierge services. Additional amenities at this hotel include wedding services and a vending machine. Satisfy your appetite at Biscayne Tavern, a restaurant which features a bar. Dining is also available at the coffee shop/café. Buffet breakfasts are available daily from 6:30 AM to 11 AM for a fee. Featured amenities include a computer station, dry cleaning/laundry services, and a 24-hour front desk. Planning an event in Miami? This hotel features 1000 square feet (93 square meters) of event facilities. This bayfront hotel is located on Biscayne Blvd in downtown Miami. The neighborhood offers 14 restaurants, 20 shops, live music, and boat excursions; a great location for families and couples. American Airlines/Miami Heat Arena is 2 blocks away and the Port of Miami is a 5-minute taxi ride. Both Bayfront Park and Bayside Marketplace are across the street. 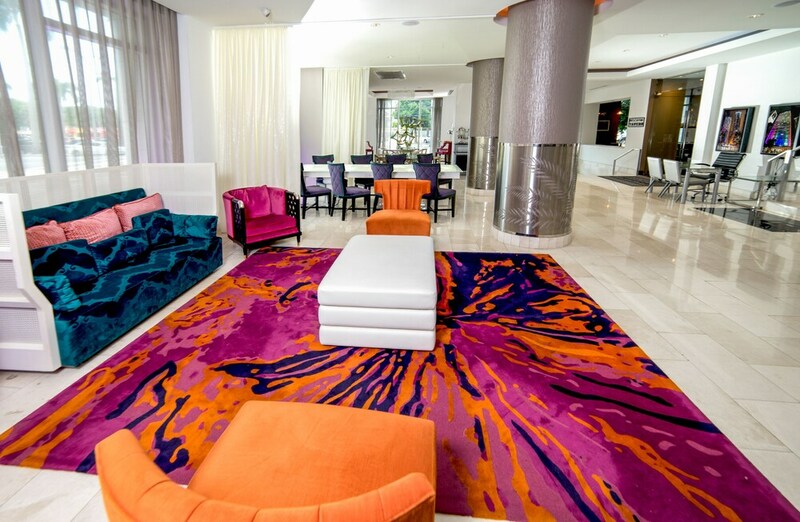 Guests of the YVE Hotel Miami have access to concierge, dry cleaning/laundry, 3 meeting rooms, a 24-hour fitness center, banquet and wedding facilities, and event catering. A restaurant with a bar is on site. Nearby parking is available (surcharge). This is a smoke-free property. A buffet breakfast is served each morning in the restaurant between 6:30 AM and 11 AM (surcharges apply). Biscayne Tavern - Serving a variety of craft and seasonal ales combined with globally-inspired cuisine. Featuring a stylish modern look that combines natural wood elements and industrial accents with vintage details and amber lighting, this tavern offers an inviting atmosphere for diners to sit back, relax, and be nourished. Open for breakfast, lunch, dinner, and drinks. Across the street from the YVE Hotel Miami is Bayfront Park, the site of concerts, fairs, and other cultural events. Numerous marinas, boat launches, and other water activities are located around Biscayne Bay as well. South Beach is 5 miles (8 kilometers) to the east of the hotel.